A chemical bond is a mutual electrical attraction between the nuclei and valence electrons of different atoms that binds the atoms together. In this project, ionic and covalent bonds wil be discussed. An ionic bond is a chemical bond that forms between cations and anions. In purely ionic bonds, atoms completely give up electrons to other atoms. Ionic bonds involve metals and nonmetals, and bonds are formed by the transfer (gain or lose) of electrons. The types of particles present are crystal latist, and it is usually brittle. It is usually solid at room temperature, and dissolves easily. An ionic bond has high melting & boiling temperatures, and high electrical conductivity at solid and liquid form. Most ionic bonds have strong, rigid, crystalline structures and low volatility. A bond is considered ionic when the difference of electronegativity is 1.67 or greater. The valence of an atom is the number of electrons it can gain, lose or share to get a full outer shell. In the case of ionic bonds, atoms can lose or gain electrons depending on their valence which causes them to become positive or negative which then attracts the opposite ion. An ionic bond is the chemical bond resulting from electrostatic attraction between positive and negative ions. A covalent bond is a chemical bond that forms when atoms share one or more pairs of electrons to fill their outer energy level. 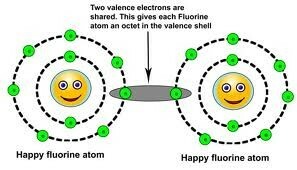 In covalent bonds, valence electrons are shared. It is a bond between two non-metals, resulting from stability of full outer energy levels. The types of particles present are molecules. Many covalent bonds have a soft, non-crystalline structure, and can be solid liquid or gas. Covalent compounds have low melting and boiling points and high volatility. They do not conduct electricty and most do not dissolve in water. 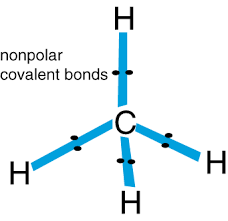 A covalent bond is neither brittle nor malleable. In order for it to be a covalent bond, the difference of electronegativity must be less than 1.67. 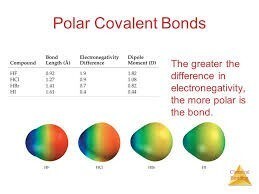 Nonpolar covalent bonds are covalent bonds in which electrons are shared equally and therefore there is a balanced electrical charge, and occurs when two atoms of the same element bond. For example, H2. A nonpolar covalent bond has a difference of electonegativity of 0-0.3. 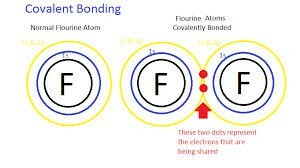 A polar covalent bond is a covalent bond in which the atoms have an unequal attraction for shared electrons. In order for it to be a polar covalent bond, the difference of electronegativity must be 0.3-1.7.